The subprime mortgage crisis has already wreaked havoc on the lives of millions of people and now it threatens to derail the U.S. economy and economies around the world. In this trenchant book, best-selling economist Robert Shiller reveals the origins of this crisis and puts forward bold measures to solve it. He calls for an aggressive response--a restructuring of the institutional foundations of the financial system that will not only allow people once again to buy and sell homes with confidence, but will create the conditions for greater prosperity in America and throughout the deeply interconnected world economy. Shiller blames the subprime crisis on the irrational exuberance that drove the economy's two most recent bubbles--in stocks in the 1990s and in housing between 2000 and 2007. He shows how these bubbles led to the dangerous overextension of credit now resulting in foreclosures, bankruptcies, and write-offs, as well as a global credit crunch. 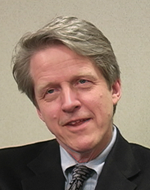 To restore confidence in the markets, Shiller argues, bailouts are needed in the short run. But he insists that these bailouts must be targeted at low-income victims of subprime deals. In the longer term, the subprime solution will require leaders to revamp the financial framework by deploying an ambitious package of initiatives to inhibit the formation of bubbles and limit risks, including better financial information; simplified legal contracts and regulations; expanded markets for managing risks; home equity insurance policies; income-linked home loans; and new measures to protect consumers against hidden inflationary effects. This powerful book is essential reading for anyone who wants to understand how we got into the subprime mess--and how we can get out. In a new preface to this powerful book, Shiller discusses the development of the crisis in relation to the ideas presented in The Subprime Solution. Robert J. Shiller is the best-selling author of Irrational Exuberance and The New Financial Order (both Princeton), among other books. He is the Arthur M. Okun Professor of Economics at Yale University.